I had some friends over for a little gathering to welcome them back to LA after being abroad in London for a while. Naturally, the thing to do is experiment with cocktails. I thought I would try something Library Bar style muddled with fresh ingredients. Muddle fresh blackberries and basil together. Add ice. Add Agave, splash of lime juice, Gin, St Germaine. Shake and strain into coup. Garnish with Basil leaf. It was quite delish’ and pleased the crowd. 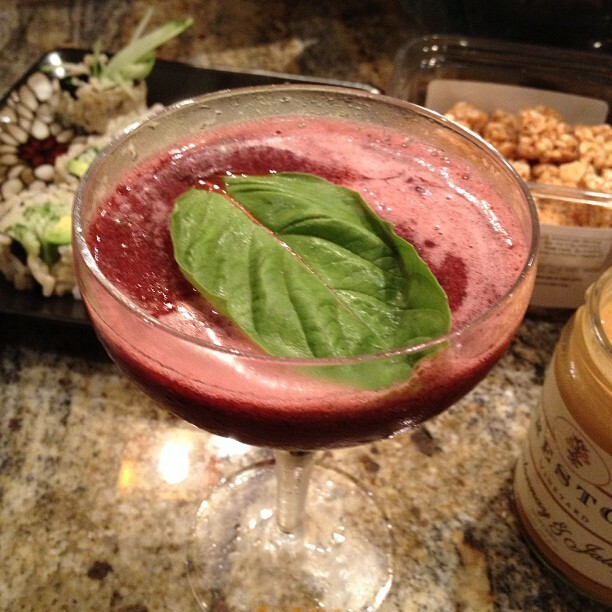 Tags: basil, blackberries, gin, st germain. Bookmark the permalink.